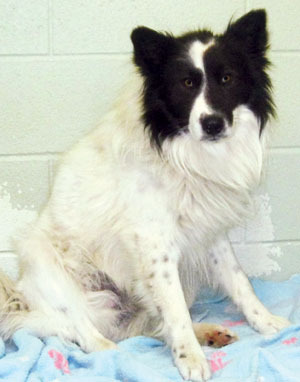 Lucky is a 2-year old male border collie. He is a stray and we have no previous history for him. We do know that he is fun-loving and gentle. Lucky is intelligent and listens very well. Please consider adopting Lucky!